Home › Blog › Winning with a New Website! You’ll be blown away by all the new features on our website! 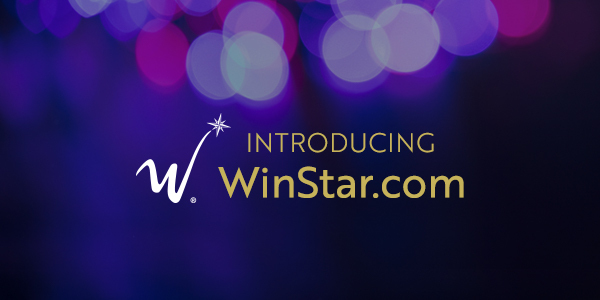 You’ll want to start by checking out the header at the top of the website, where you can log in to your My WinStar account, book a room at our luxurious hotel or play games online at winstaronlinegaming.com. See all our amenities by simply hovering over the navigation bar at the top of the page. From there, you can navigate to see our more than 8,100 games and their locations within the casino, well-appointed rooms in our hotel towers, upcoming events and entertainment, endless dining options, meeting spaces and more. Discovering your favorite game has never been easier with our new game finder feature on the right-hand side of the page. You can search for any game to see where it’s located across nearly 400,000 square feet of casino floor. You can also easily navigate an interactive casino map and our promotions page. Scroll down the homepage to view our latest promotions, upcoming events and the latest from our blog. Discover all the benefits of your Passport membership on the My WinStar portal. Find real-time Free Play amounts, current offers, rewards and how close you are to advancing tiers. You can even see how many entries you have into our promotions, giveaways and sweepstakes. We encourage you to take a look around our new website and let us know your favorite feature on our Facebook, Twitter or Instagram page! Game On at Studio 888Experience a Cowboys game like a WinStar VIP!